Group 1 winner Peggy Jean will be one of the headline acts at the 2016 Magic Millions National Broodmare Sale at the Gold Coast from June 1-5. Catalogued as Lot 756, the elite mare (pictured in-foal to exciting Hunter Valley-based stallion I Am Invincible) is scheduled to go through the ring early on Day 2 of the sale, Thursday 2 June. Peggy Jean’s career highlight was when she scored an emphatic win in the 2014 Group 1 ATC Sires’ Produce Stakes (1400m) at Royal Randwick with Nash Rawiller on board who was extremely impressed with her at the time. “What a filly…I rode her in a trial about three weeks ago and came back and said ‘if this isn’t a Group 1 horse then I haven’t ridden one.’ I was very impressed. This filly has class written all over her,” exclaimed Rawiller. In the process, Peggy Jean provided Triple Crown with a time-honoured Group 1 victory on the inaugural day of The Championships. “Peggy Jean was a very special racehorse for us. She was an exceptional early running two-year-old winning the $250,000 Inglis Classic (1200m) at just her second career start before securing Group 1 glory shortly after,” said Triple Crown Director Chris Ward. The Myboycharlie mare is from a half-sister to group performer Prince of Dane and hails from the family of Group 1 winners Lady Jakeo and Mrs Onassis, Merlene and also Golden Slipper winner Capitalist. 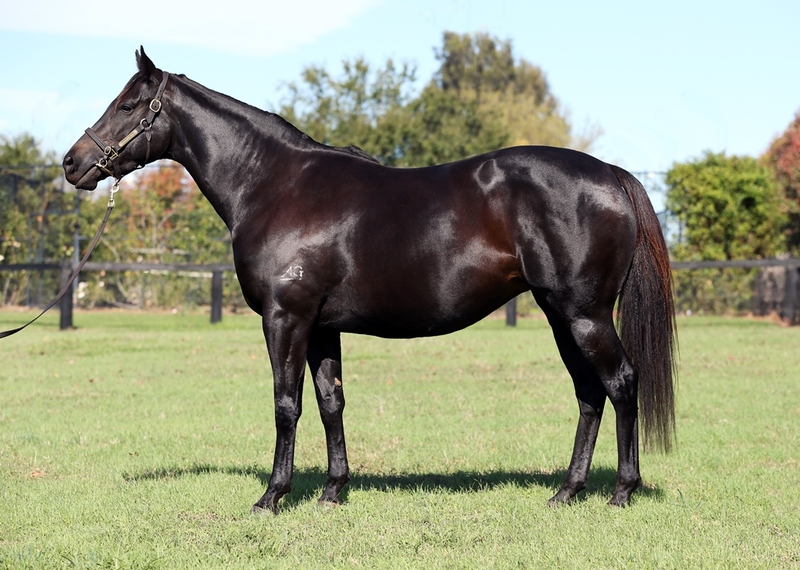 Peggy Jean will be offered for sale by leading vendor Yarraman Park following an early covering at her first service last spring to outstanding sire I Am Invincible – sire of Group 1 Sprint Champion Brazen Beau. Yarraman Park’s Arthur Mitchell believes the early signs suggest Peggy Jean is destined for success as a broodmare. “Peggy Jean is letting down into a lovely mare. She has a great temperament and is well behaved with other horses in the paddock.